Bike share coming to Silicon Valley? Despite the much ballyhooed talk by San Francisco Mayor Gavin Newsom that his city will implement a public bike share pilot, the first bike share program in the Bay Area will likely be implemented by the middle of 2010 in Santa Clara County by the Valley Transportation Authority (VTA). While small size may still be a liability to its success and long term funding sources must be determined, the VTA is miles ahead of other transit operators in completing the process necessary to deliver a pilot. "Bikes in general are given short shrift in suburban sprawling areas," said Chris Augenstein, Deputy Director of Planning at VTA. "We can do a lot more to make bicycles a real mode and integrate them into everything we do." Read more at Streetsblog SF. The article quotes SFBC's Andy Thornley, who doesn't want to seem like a stick in the mud about this, but I think he's right that the South Bay isn't really the right place for bike share, at least in the way VTA seems to propose for Caltrain users. When I served on the SVBC Caltrain working group I saw a lot of feedback regarding bike share as a solution to bike bumping. Over 4,000 passengers detrain at Palo Alto University Avenue every weekday; 360 of these passengers (about 9%) have bicycles. Let's pretend VTA finds funding for 50 bikes at Palo Alto. Every one of those bikes would be used and gone for the entire work day and sitting, mostly unused, until the employee's evening commute. Big props to VTA for being first in the Bay Area to actually move on a bike share proposal. When and if it happens, I'm certainly curious to see how it works out. Palo Alto considers bike share program. 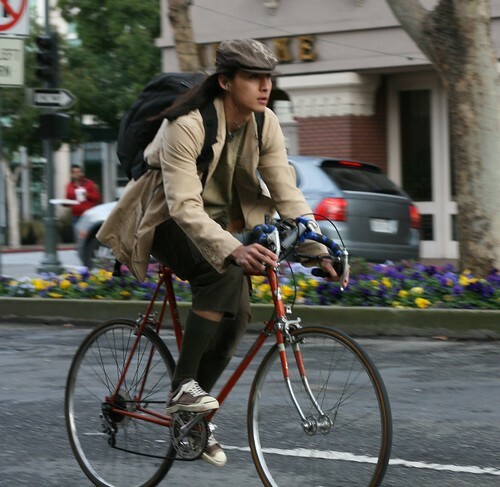 San Jose works to increase bike commuting. SF MTA to require bike rentals at bus stops.